We're in the endgame now, and directors Joe and Anthony Russo kindly ask that you don't spoil it for anyone. In just over a week, Avengers: Endgame will finally hit theaters. This movie is going to resolve, without overstating it, one of the biggest cliffhangers in the history of cinema. And, for the most part, only those who worked on the movie know what secrets lie in store. As such, it's going to be incredibly important for fans to avoid spoilers and the directing duo has penned a letter asking fans to treat others how that would want to be treated in that respect. Across virtually every social media outlet Marvel has at its disposal, the letter penned by the Russo brothers was released. This appears to be in response to a recent footage leak that came with heavy spoilers, which have been circulating on sites like Reddit and Twitter since. 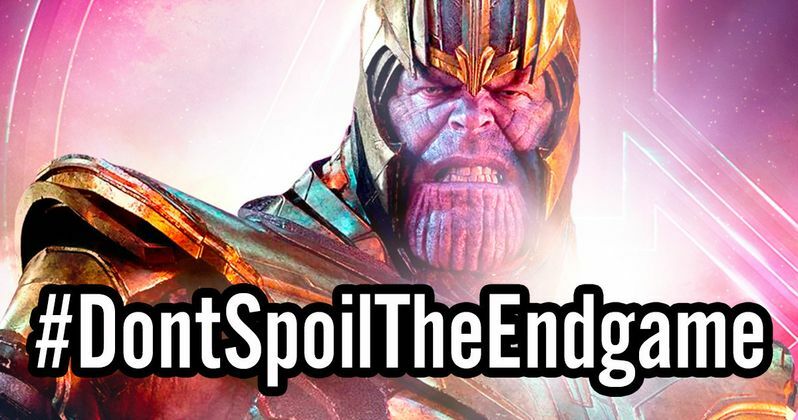 The letter was shared with the hashtag #DontSpoilTheEndgame, which has been trending on Twitter since the letter was first shared. Here's what the Russos had to say. "To the greatest fans in the world, This is it. This is the end. The end of an unprecedented narrative mosaic spanning eleven years and eleven franchises. For all of you who have been on this journey with us since the very beginning, sharing every high and low with your family, your friends, your classmates, your co-workers. Investing so deeply in every character and storyline. Laughing. Cheering. Shedding tears. Giving so freely of your thoughts and emotions in spirited dialogue, theories, fan art, and fan fiction. Please know that the two of us, along with everyone involved in Endgame, have worked tirelessly for the last three years with the sole intention of delivering a surprising and emotionally powerful conclusion to the Infinity Saga. When you see Endgame in the coming weeks, please don't spoil it for others, the same way you wouldn't want it spoiled for you. Remember, Thanos still demands your silence. As always, good luck and happy viewing. The Russo Brothers. #DontSpoilTheEndgame." The Russos also directed Captain America: The Winter Soldier, Civil War and Infinity War, making them a huge part of the MCU. They released a similar letter online ahead of the release of Infinity War last year. For the most part, it seemed like fans got on board and didn't spoil the movie's big moments prematurely in a public way. Hopefully, the same holds true this time around. Showings for the movie have been selling out all across the country ever since tickets went on sale. The best way to avoid spoilers is to see the movie as quickly as possible. Unfortunately, for those who don't already have tickets for opening night, that may be easier said than done. Avengers: Endgame is set to hit theaters on April 26. Be sure to check out the letter from the Marvel Studios Twitter account below.